Care Care for the Clueless with Pam Oakes is our guest on The Core Business Show with Tim Jacquet. The Core Business Show with Tim Jacquet is sponsored by Apple Capital Group, Inc. Apple Capital Group, Inc., is commercial finance asset based lender based in Jacksonville, Fl. For more information about Apple Capital Group lending, please check out our website at http://www.applecapitalgroup.com. 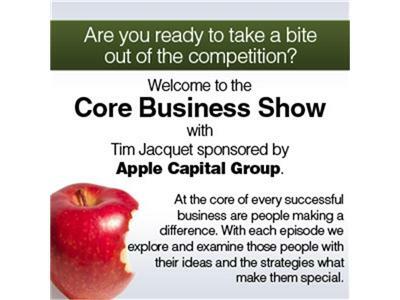 If you like to be a guest on The Core Business Show, please email us at info@thecorebusinessshow.com or call Tim Jacquet at 855-635-3300 Extension 130.